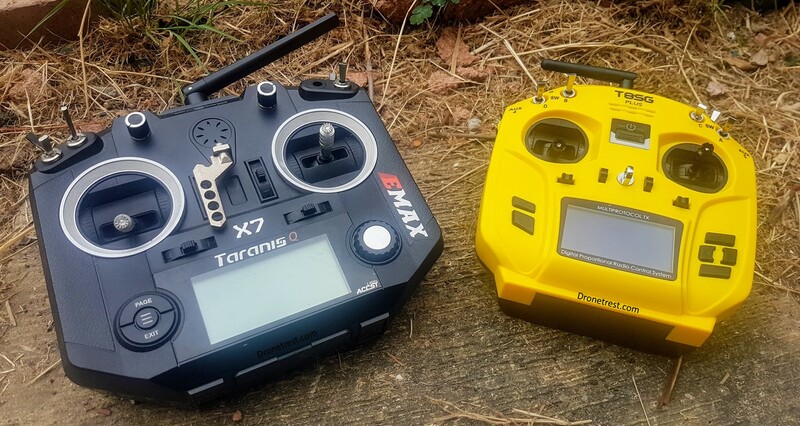 If you are shopping for a new set of FPV box goggles, you are probably considering either the new FXT Viper, or the EV900. Both these goggles are of a new refraction style design that reduces eye strain significantly over traditional box goggles. In this guide, I will give my opinions on both and also compare them to the current king of box goggles, the EV800D. The FXT Viper goggles are the best overall. Although the EV900 have an outstanding full HD screen, they are just too uncomfortable to wear. 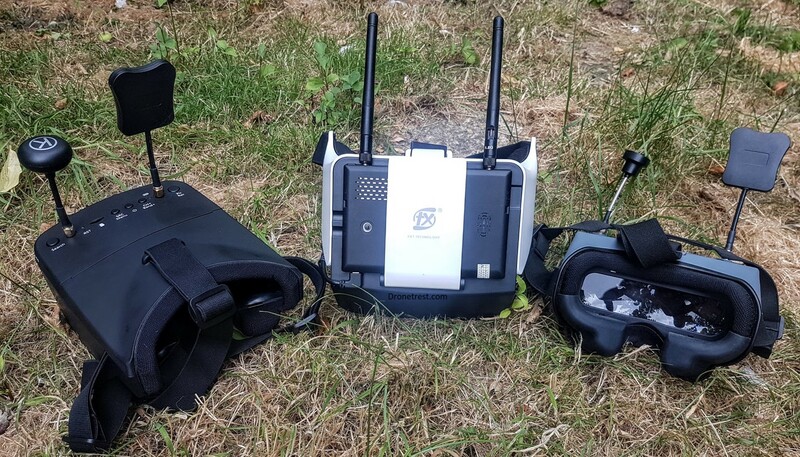 The EV800D is still the best option if you want a decent set of cheap FPV goggles. Lets first start off with the heart of the goggles, the screen. On this front, the EV900 goggles win hands down with its full HD 120hz display. Looking at this screen is gorgeous. 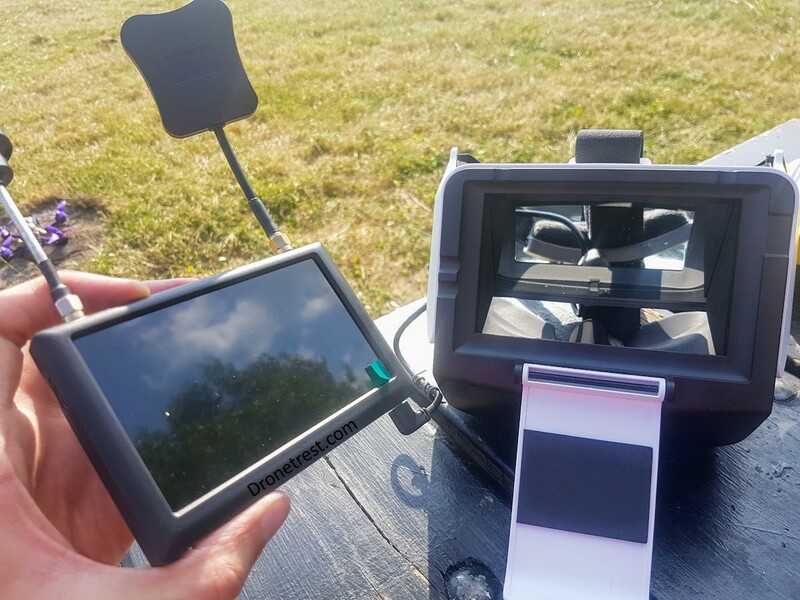 I would be more than happy watching a movie on this screen, definitely one of the best FPV screens I have tried so far. But this is quickly overshadowed by how uncomfortable the EV900 goggles are to wear, more on this later. 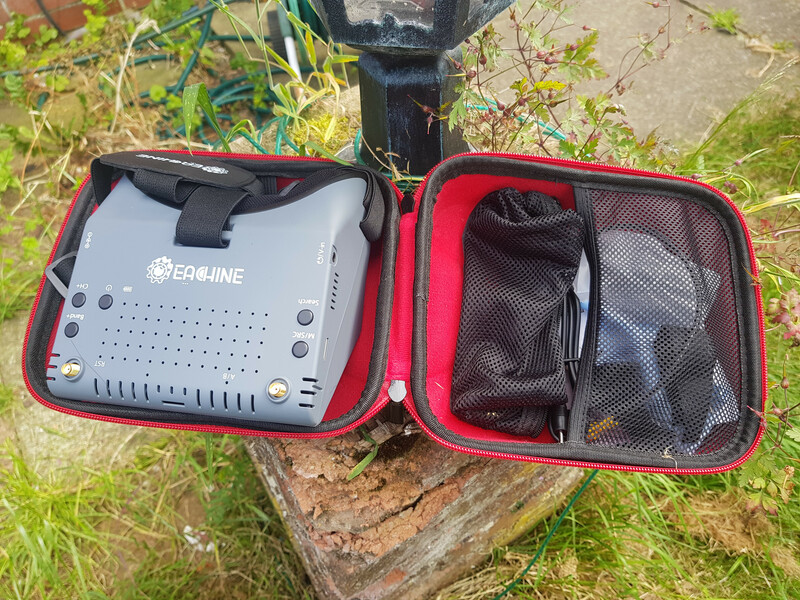 Pretty much all of us have to travel to go fly FPV, so having a set of FPV goggles that are easy to transport is a big plus. Both the EV900 and Viper goggles include a nice carry case but the EV800D just comes in a box, making it the most likely to get damaged while travelling. Unfortunately, all box goggles are big and bulky to travel with, but the FXT Vipers take it to the next level as they are massive. The Vipers require a bag bigger than your R/C controller bag to transport. The EV900 and EV800D are both very similar in size but the EV900 units are slightly shorter. So the EV900 wins in terms of being the easiest to travel with. This is where the Viper goggles outshine all the others. Not only are they one of the most comfortable goggles to wear, they can also be worn using your glasses! The weight of the goggles are on your forehead (other box goggles are usually on your cheeks/nose), and there is soft rubber that wraps around your face or glasses. 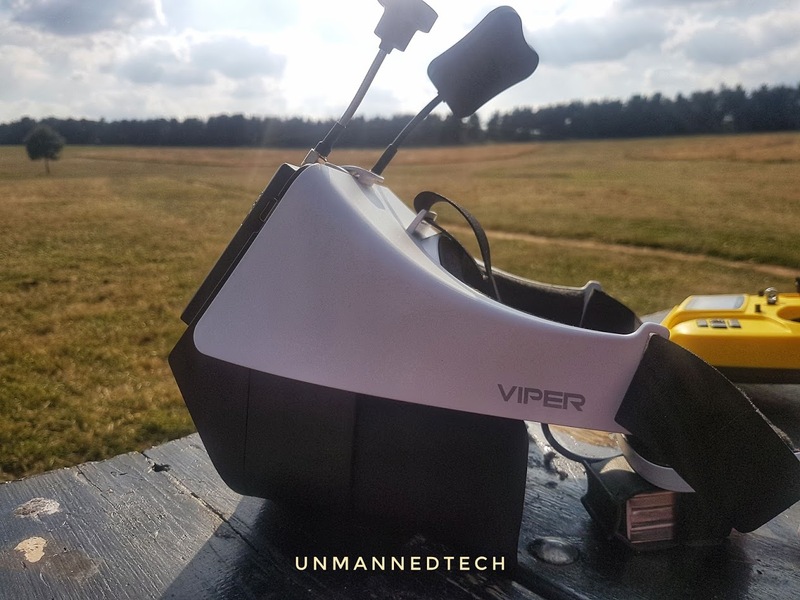 The Eachine goggles (EV900 and EV800D) are both uncomfortable to wear compared to the vipers. Particularly the EV900 that has a strange nose cutout that is not big enough and pushes against your nose. When you use the included rubber extenders they are fairly comfortable, but then you have a lot of light bleed coming into the goggles. Ultimately this is the biggest disappointment with the EV900 for me. Sure the EV800D may be slightly uncomfortable to wear, but they are also very cheap compared to the EV900 and FXT Viper goggles. Another minor thing that I like is the 4-way joystick on the FXT viper makes navigating the menus 100% easier as you don’t need to fumble around to try to find the correct buttons on the top to press. With the EV900 I usually need to take off the goggles to use the menu buttons. 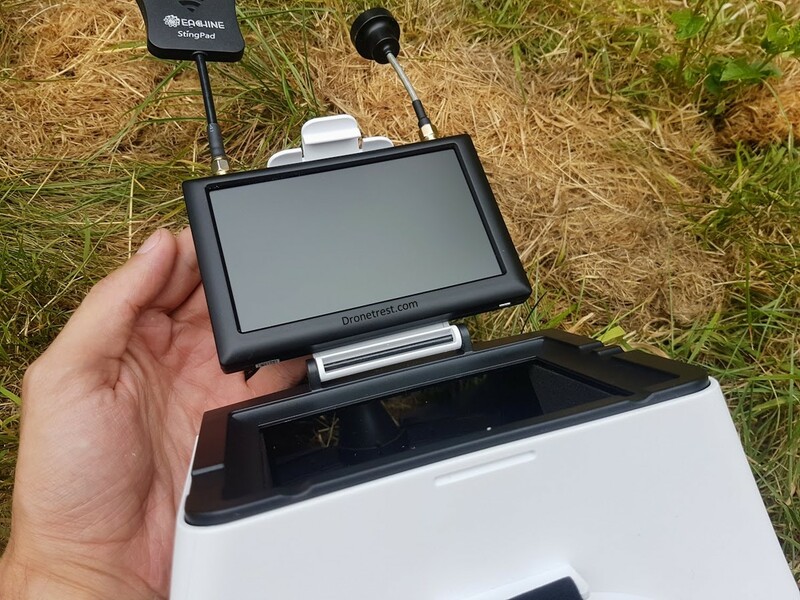 Having a great screen is useless if you do not have an excellent FPV receiver to go along with it. Nowadays FPV receivers are getting so good and cheap that many of us assume that the built-in receivers are going to be good enough. And you are correct to assume this. The FXT Viper, EV900 and EV800D all have true diversity receivers built in, that is to say, that they have two separate receivers that switch between the best signal. I have not done a scientific range test to compare them with one another but I can comfortably say that they all work very well. 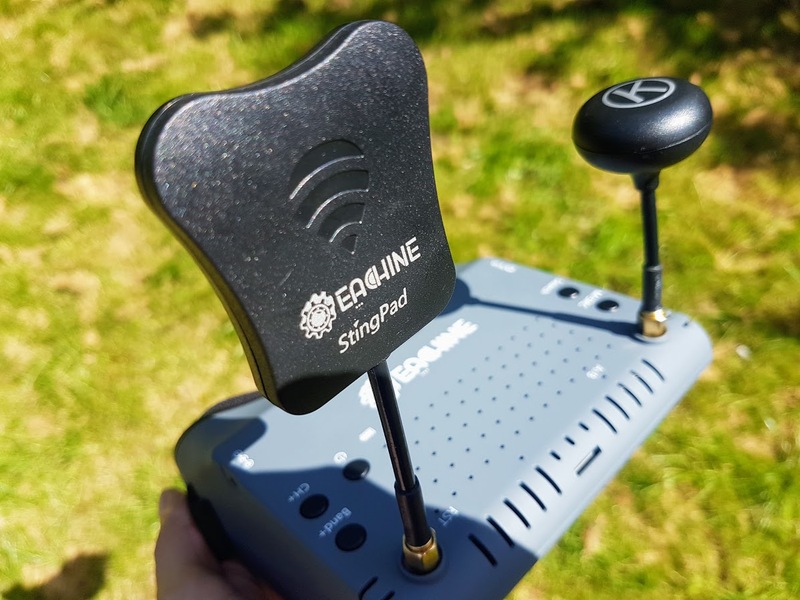 One thing to note here is that the included antennas you get with the Eachine goggles are far superior to the liner antennas you get with the FXT vipers. This is a minor issue since most people spend slightly more to get a decent set of antennas for their goggles as it is well worth the extra money. Having a built-in DVR is very nice to have. Not only does it give you an easy way to review your flight to get better, it helps you narrow down your search for a lost quad or see what went wrong. Both the EV800D and the FXT Viper goggles include a built-in DVR, and both work very well. You may be surprised to see that the EV900 does not have any DVR capability, but I think Eachine spent all the money and used up all the space on the fancy screen. At the end of the day when you consider the entire FPV experience, the FXT Viper goggles win. This is not a very hard decision either. The Viper goggles are leagues ahead in terms of comfort, plus you can wear your glasses with them, which for me (or anyone else who needs glasses) is a big deal. The only annoying thing about them is that they are very big, but this is offset somewhat by the nice carry case you get with them to keep them protected while you are travelling to and from your flying spot. The fact that you can also use just about any lipo to power them is a big plus when you are in the field. 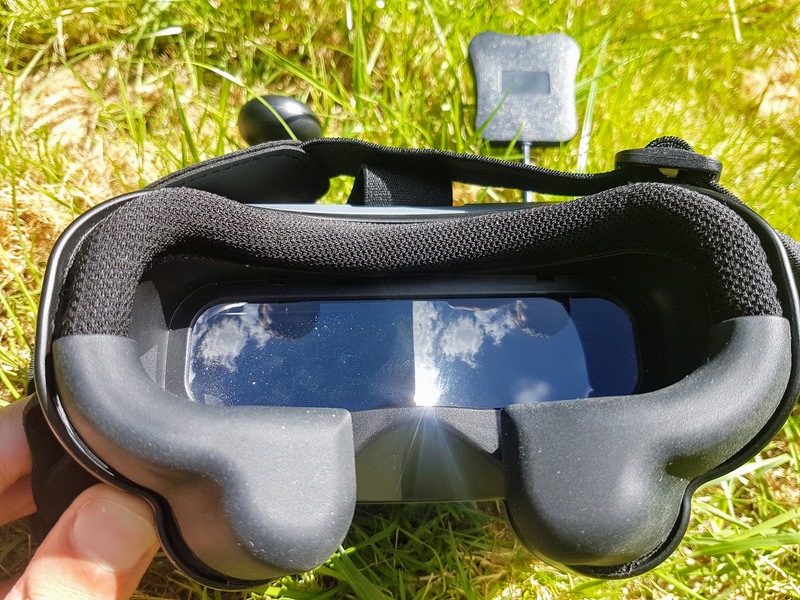 Although the EV900 may be better in terms of having an outstanding screen in a tiny package (for bog goggles anyway), they fall short in offering you an enjoyable FPV experience as they are rather uncomfortable. They are slightly cheaper than the Viper goggles which may be something you prefer. Also if you plan to watch movies or spend a lot of time on a simulator they may be better since indoors light bleed is not as bad. I still recommend anyone getting into FPV who want a decent set of goggles to go for the EV800D. Sure they are not as comfortable as the Vipers, but they are a lot cheaper. They have the same resolution screen and you get decent antennas with them. 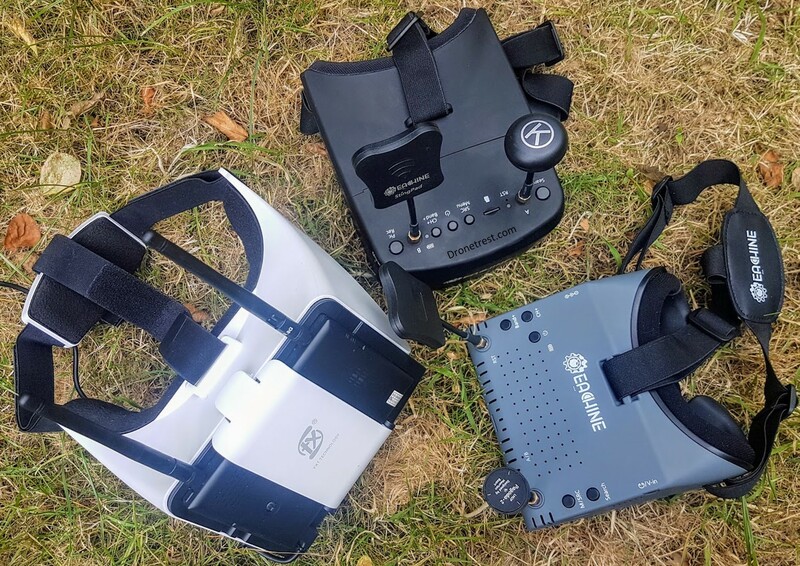 They also give you the option to convert between box goggles and a stand-alone FPV monitor which is great as a beginner if you are transitioning from line of sight flying, or just want to share the FPV experience with your friends. Thanks for reading, I hope this article helped you make up your mind about which to get. If you have any questions or comments be sure to ask on our friendly drone forums!